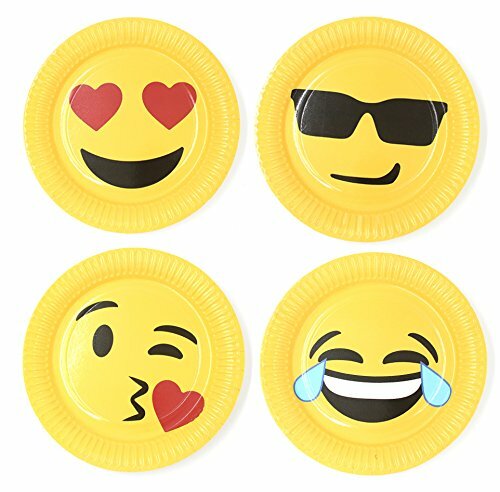 Emoji Party Plates for your Emoji obsessed Birthday Honoree! 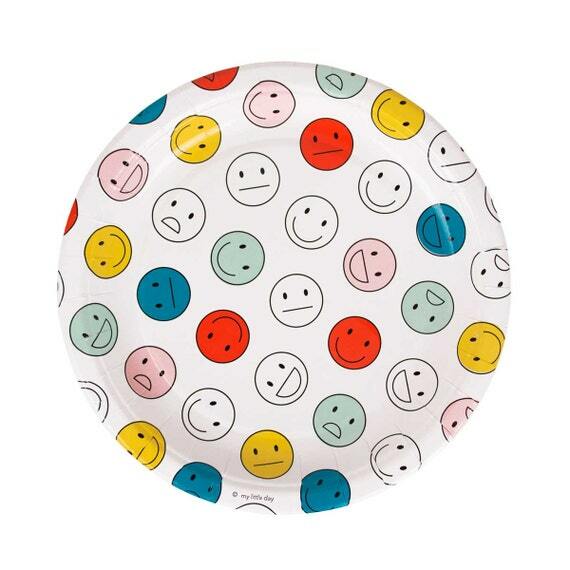 These birthday plates are colorful and fun for a very Happy Birthday indeed! 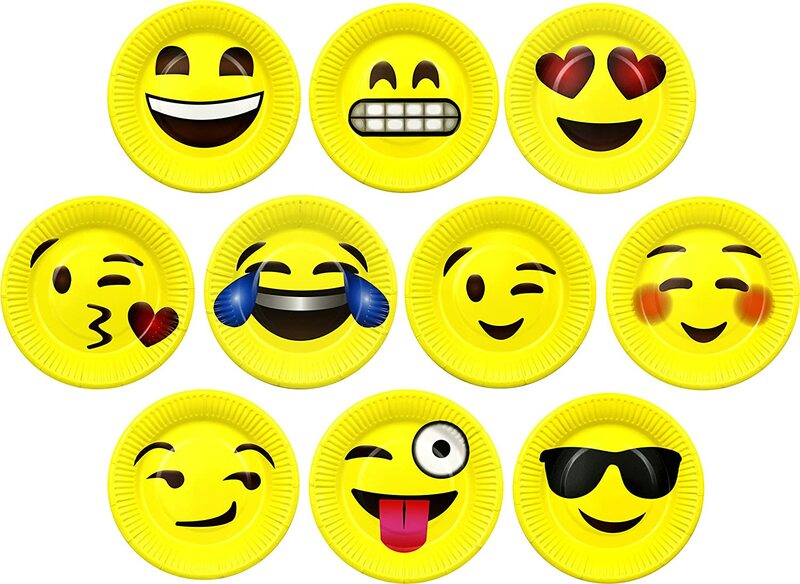 Delight tech-savvy teens at an emoji birthday party with these! 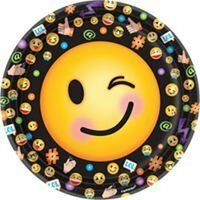 You can also impress friends or create an “emojional” atmosphere! 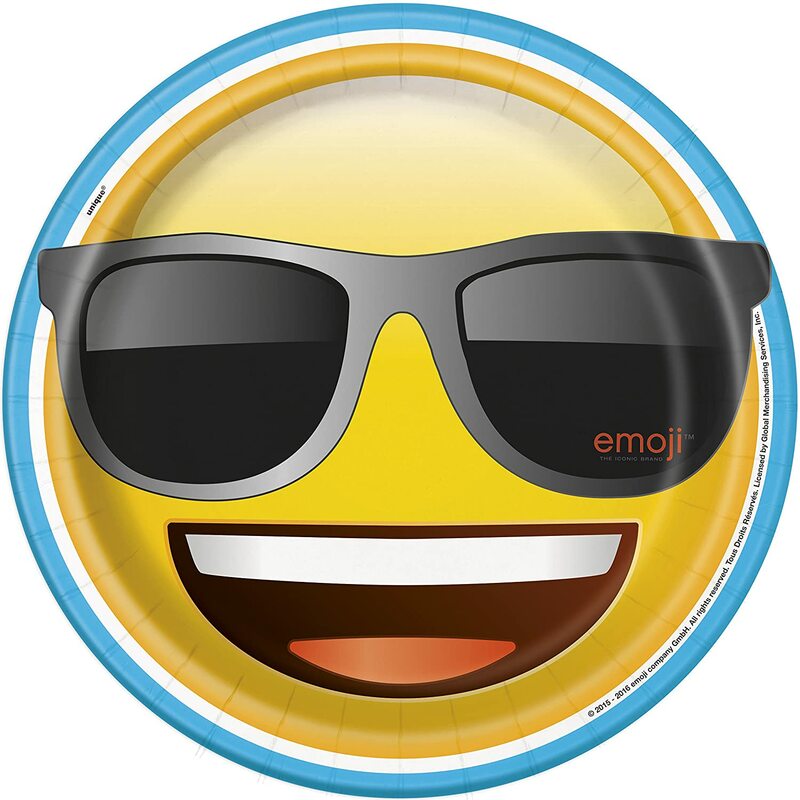 So COOL your child is having a birthday!! 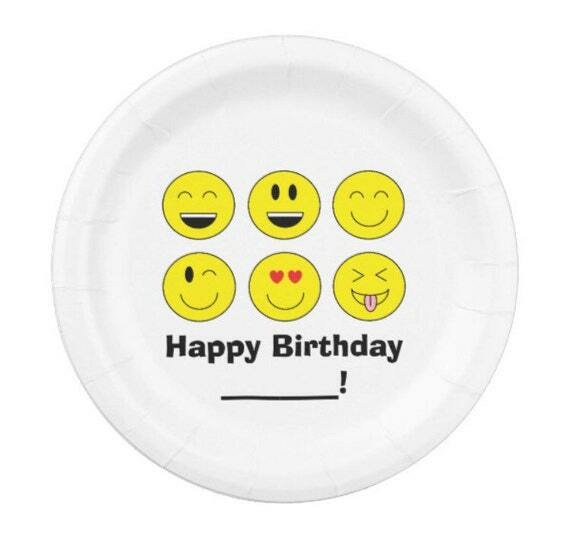 These adorable plates will add just the right touch to any birthday celebration. 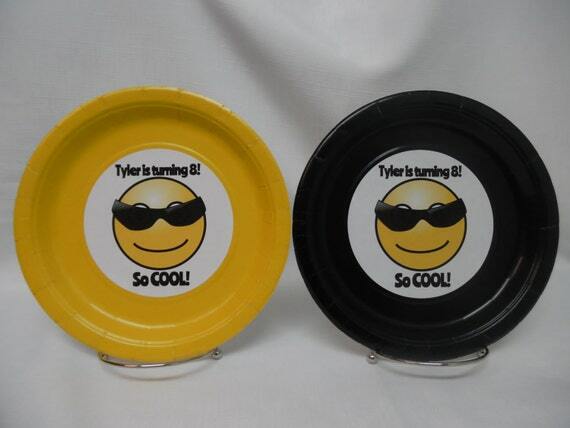 Add a name or custom message to these party plates! Free shipping available on bulk orders! 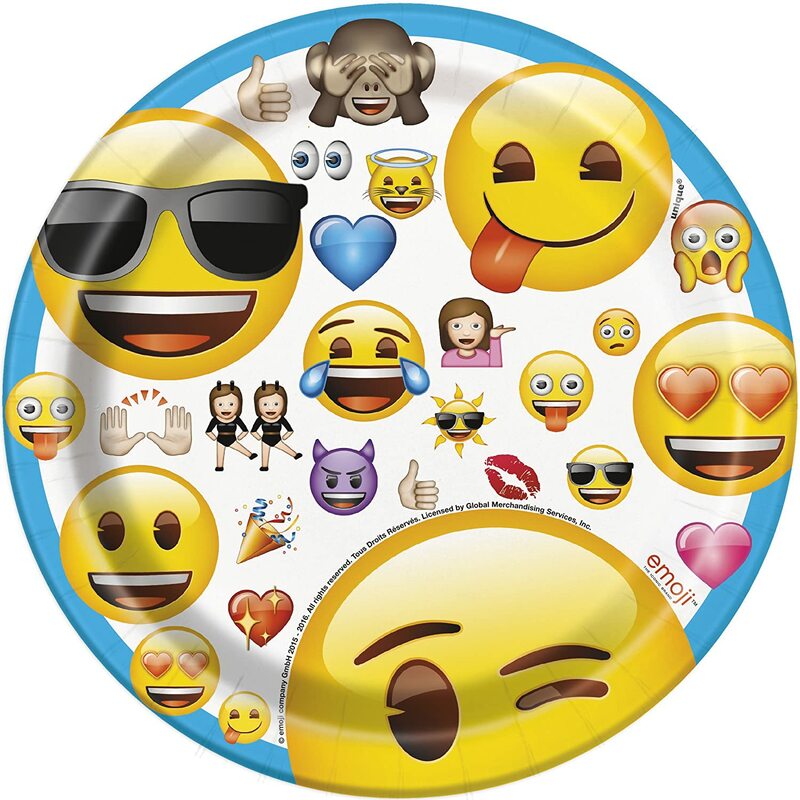 Emoji Paper Plates with smooth nonabsorbent surface. 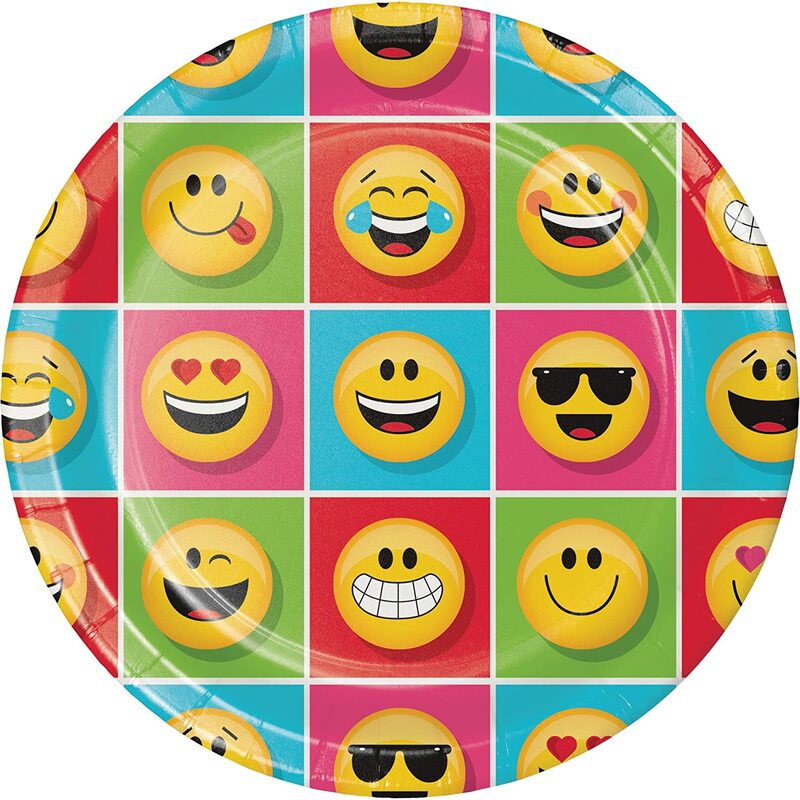 Total of 50 cute 7″ Emoji Paper Plates with smooth nonabsorbent surface. Ultra-fine gloss finish keeps liquids and sauces from seeping through, keeping the mess to a minimum. ✅ Produced with thick, high quality paper, high definition printing, and ultra-fine gloss finish. 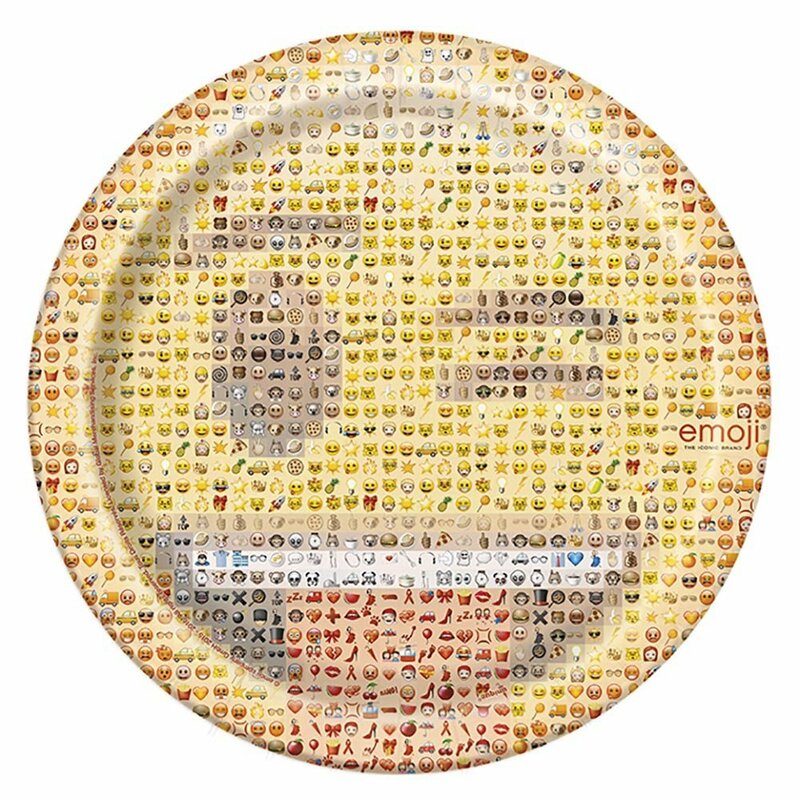 ✅ 50-Pack Includes 10 Most Popular Emoji Faces (5 of each). 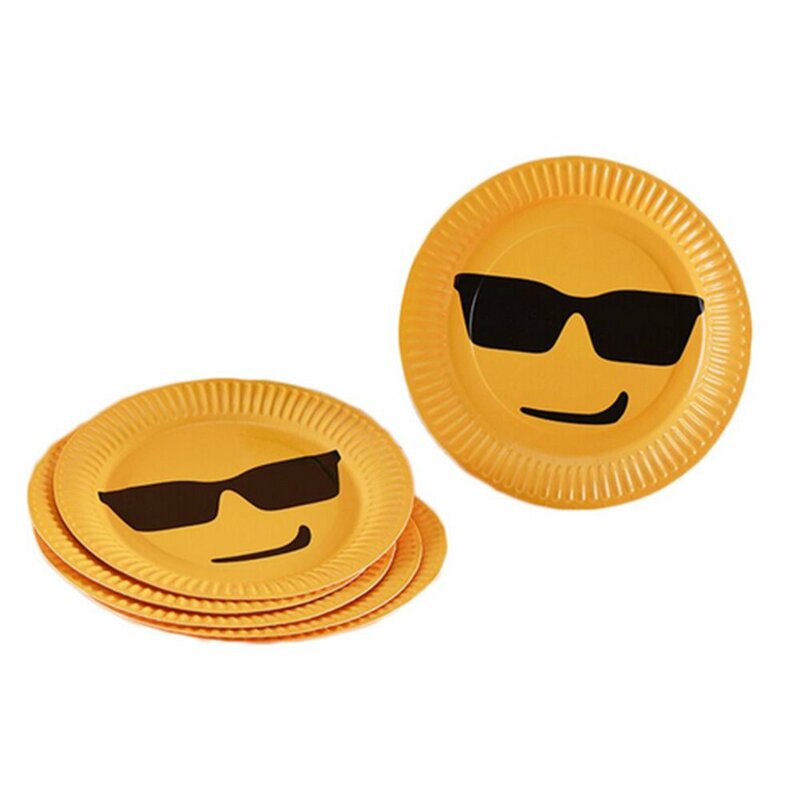 ✅ Made with 100% Child-Safe, Eco-friendly materials. Satisfaction Guaranteed. 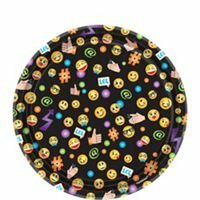 Excellent for a kids birthday party, teen party, or emoji themed party and also a fun sleep over party!